Same-day delivery on groceries and household essentials is about to become a reality. As more and more retailers adopt same-day delivery features, it looks like weekend-only grocery shopping may soon become a thing of the past. From Amazon to Walmart, many of our favorite stores and online brands are beefing up their logistic operations to make shopping from home that much faster and more convenient. And Target is no exception: Following the announcement in December 2017 that the retailer had acquired internet-based grocery delivery service Shipt, it looks like speedy delivery will be available to Target shoppers sooner than expected. According to Business Insider, 57 Target stores in Birmingham, Alabama, and South Florida will offer this feature starting February 1. Target had previously offered next-day delivery to a select few via its Target Restock service, which is essentially the company’s answer to Amazon’s Prime Pantry. The Shipt acquisition signifies the need for something even more immediate to stand out from the competition, and it will be interesting to see how this plays out when Target rolls out the service to the rest of its stores. For now, it plans to expand Shipt’s same-day delivery to parts of Georgia, North Carolina, South Carolina, and Tennessee later in February—and eventually, to half of all its 1,834 stores by the end of the first quarter. Shipt currently serves customers in over 72 cities via existing partnerships with retailers like Publix, HEB Grocery Co., Kroger, and Costco. If you’re one of those customers, don’t worry: Shipt plans to uphold those partnerships despite new ownership. Target will simply be entering the deal to have access to Shipt’s e-commerce capabilities—which power online checkouts—as well as its massive active delivery fleet. The best part? Your groceries will arrive hand-delivered to your door. Shipt’s innovative model does away with boxes—and the accompanying risk of delivery damage—by using a network of over 20,000 personal shoppers. The same people who shop for you at your local Target store then deliver the goods to your home. “With Shipt’s network of local shoppers and their current market penetration, we will move from days to hours, dramatically accelerating our ability to bring affordable same-day delivery to guests across the country,” John Mulligan, Target’s chief operating officer, said in a statement. 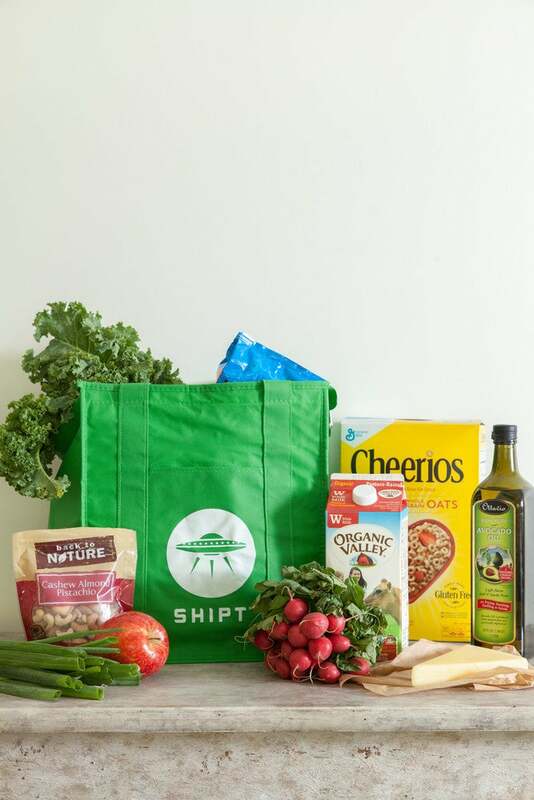 The acquisition of Shipt will provide Target shoppers with unlimited same-day deliveries on items like groceries and household essentials after they pay a $99 annual membership fee—and this service will prove especially useful during the busy holidays. Luckily, Target plans to roll out the same-day delivery service to the majority of its stores in time for 2018’s holiday season, so you’ll never have to worry about braving the snow to go pick up eggnog again. With competition in the online shopping sphere heating up, this could be a major leg up for the popular brand. After all, consumers are continuing to show an increasing preference for shopping online, and based on all the time-saving convenience it provides, we can’t blame them. In 2017, Amazon stepped up its grocery game when it bought Whole Foods, and the e-commerce giant recently made more headlines by opening its first cashier-less store. Other companies are starting to follow suit, so who knows? The future of supermarket shopping could be online. This story was originally published on December 15, 2017. It was updated with new information on January 25, 2018.